Start school on a high note. 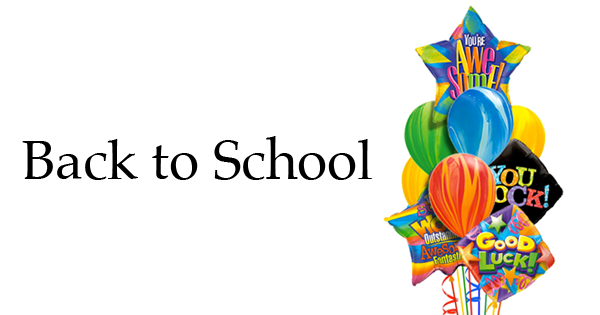 Send students back into the school year with a balloon bouquet delivery. Bouquets feature positive messages including “You’re Awesome!” and “You Rock!“. Choose the theme that best matches your student or classroom. Hey, who doesn’t love Unicorn 101? Place your order today for a delivery and save $10 using the promo code BACKTOSCHOOL17. This discount applies only to Back to School balloon bouquets. The promotion ends on Friday, September 1st, 2017. Order today!